Scientist and Engineers team up to use drones to study Volcán de Fuego in GuatemalaA team of volcanologists and engineers from the Universities of Bristol, Birmingham and Cambridge have collected measurements from directly within volcanic clouds, together with visual and thermal images of inaccessible volcano peaks. During two research tripssupported by the Cabot Institute, the team carried out many proof-of-concept flights at the summits of both Volcán de Fuego and Volcán de Pacaya in Guatemala. 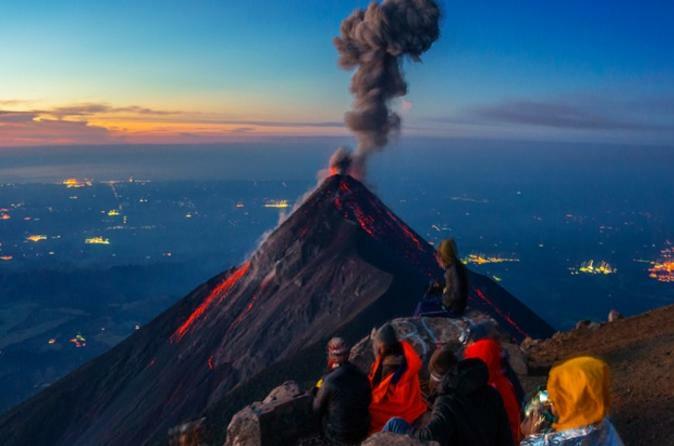 Using lightweight modern sensors they measured temperature, humidity and thermal data within the volcanic clouds and took images of multiple eruptions in real-time. Dr Richardson will be presenting results from both campaigns and highlighting the benefits of working across faculties within the University.